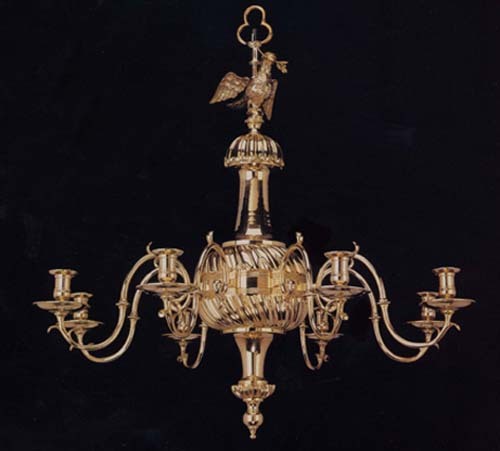 An exact reproduction of a fine mid-eighteenth century brass chandelier of desirable form and size. 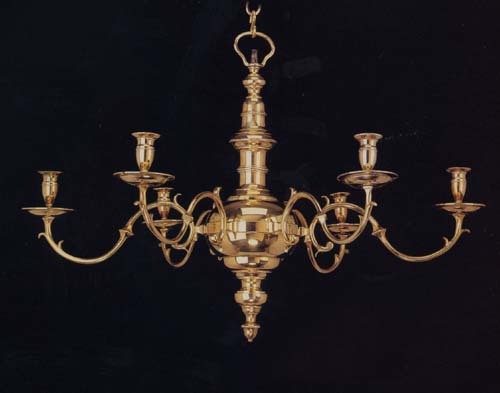 The six arms are pinned to the central ring, an English innovation appearing in about 1740. Width: 35" Height: 33 1/2"
* Also available without dove. 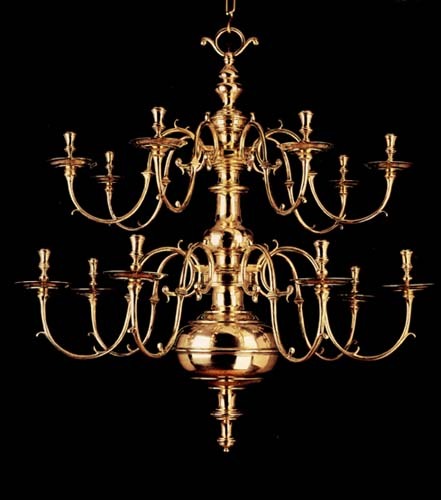 Height 29"
A superb quality brass chandelier with fourteen branches arranged in two-tiers following an English design of the early eighteenth-century.